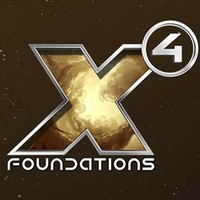 2.5bate 开始了～ - X4: 基石(X4: Foundations) - 深度时空宇宙/太空游戏社区 - Powered by Discuz! New Feature: Resupply ships are now available and carriers can also resupply their fighters. New Feature: Sector blacklist settings to prevent ships entering certain areas. New Feature: Inventory management with lockboxes in space and inventory storage at player HQ. New Feature: Tobii eye-tracking support (Windows-only in this build, Linux support to come). Added images and background information relating to star systems and planets in encyclopedia. Added logbook entries for NPC ships being built, restocked or repaired at player shipyards. Added note/hint while mouse direct steering mode is active. Added more variations for Build Station, Rescue Ship and Scan missions. Added new global orders section in player information menu. Added options for ware transfer and trade with build storage to docked menu. Added inventory information to player-owned ships. Added categories to object list and property owned in the map. Added options to sort the object list and property owned menus by name, size or hull. Added warning in trade menu if a ship cannot transport a ware. Added possibility to cancel builder ship assignments before ship deploys at station. Added current build progress information to the module type summary lines of station entries in the map. Added option to configure autosave interval (and prevented autosave immediately after a manual save). Added information about hacked research module to research menu. Added information about hacked production modules to info menu and Logical Station Overview. Added ability to configure Logical Station Overview graph data for each station individually. Added wreck filter option to map. Added interior sounds to rooms, shops and ship bridges. Added mining and resupply tutorials. Improved selection of multiple wares for behaviours and map filters. Improved resource preview in the ship build/upgrade menu. Improved performance of loading and saving. Improved interface for dropping player inventory. Improved map object list performance when looking at many player stations. Improved faction behaviour when dealing with ware shortages. Improved ship formation behaviour when flying in travel mode. Improved controller support for initial ship type selection in ship build menu. Improved ship docking and undocking movement in certain cases. Improved behavior of free-flying police. Improved defence drone handling by capital ships in combat. Improved mission reward text for paint mods. 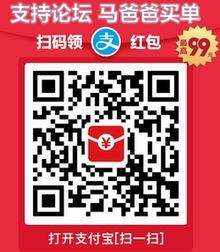 Improved updating of wares to be traded or harvested by station-based trading ships and mining ships. Improved Logical Station Overview graph data selection. Improved AI station generation logic to make selection of large habitation modules more likely where appropriate. Removed Fly To objective from Build Station missions. Removed ability to load construction plans that contain more venture modules than the player has available. Removed ability to move an empty station plot after paying a cheap licence to a location with an expensive licence without repercussions. Fixed issues with moving station plots during Build Station missions. Fixed Rescue Ship mission potentially creating unowned ships which don't get cleaned up. Fixed Rescue Ship mission reward calculation in the variant where the ship must be delivered. Fixed warping to a different sector when getting up during specific stage of HQ mission. Fixed missile range calculation for dumbfire missiles. Fixed very slow mission offer display if many offers are known. Fixed menu errors when opening information menu for ship under construction. Fixed huge player-owned stations not displaying all stored wares in information menu. Fixed encyclopedia links to ships not working correctly. Fixed NPC buy/sell orders not honouring minimum amounts. Fixed ships stuck waiting for upgrades. Fixed error messages when attempting to unlock EMP-induced data leaks on ships. Fixed dock speed limits being applied when travel mode is active. Fixed ships docking at moving objects appearing to strafe very quickly at certain times. Fixed police ships remaining in space where they no longer have police authority. Fixed some factions' police ships not being named as police. Fixed defence drones belonging to Teladi Trading Stations not docking after completing their tasks. Fixed stations potentially trying to trade with other stations when they no longer have any available cargo drones. Fixed ships built for invasions sometimes not performing their intended orders. Fixed subordinates not responding to attacks in some cases. Fixed ships attacking targets outside their engagement area when on their way to their engagement area. Fixed squadron subordinates getting distracted by hostile targets encountered while on their way to join their commander. Fixed subordinates of carriers waiting for the player's permission before undocking to attack if player is on board the carrier. Fixed station-based miners and traders not updating their range when they or their manager improve in skill. Fixed construction vessels not always being unassigned when a station is destroyed. Fixed NPC ships not firing their weapons when attacking under certain circumstances. Fixed turrets set to Fire on my current target only firing sporadically when current target is a station. Fixed turrets set to Attack my current target periodically stopping firing. Fixed player-flown ships with turrets set to mining mode only acquiring asteroids 3km away regardless of mining turret range. Fixed mass traffic sometimes using the wrong ships directly after loading a savegame. Fixed asteroids in certain regions sometimes ending up with negative mineral yields. Fixed incorrectly-scaled rendering of paint mods when redesigning certain ships. Fixed promotion of crew to pilots removing existing pilot from ship. Fixed object selection failing in the map when switching between tabs. Fixed cases where map continued panning/rotating even after having released all mouse buttons. Fixed station building menu asking to confirm loss of changes if nothing was changed. Fixed station building menu not updating when a module build finishes. Fixed returning venture ships sometimes being displayed in an incorrect location on the map. Fixed map object list not showing the correct player logo for player-owned sectors. Fixed supply settings for Drones and Missiles in Logical Station Overview. Fixed player map icon being very large in certain situations. Fixed external view on surface elements. Fixed targeting while in spacesuit. Fixed loot-magnet sound stuck after auto-save. Fixed tooltip text getting stuck in the station build menu when using the controller mouse emulation. Fixed various NPC pathing issues on platforms. Fixed NPC rubberbanding when talked to while walking. Fixed detached habitation modules during AI station construction (existing station layouts are not affected). Fixed factions building more defence stations than they should. Fixed situation where ships could appear stuck in internal storage. Fixed missing localisation of several texts in menus. Fixed several localisation issues in mission texts. Fixed being able to fly into planets. Fixed NPCs walking in front of pilot in Demeter and Hermes. Fixed Pulsar's right weapon being visually disconnected from hull. Fixed Nodan lights not turning on. Fixed missing mode visualisation in Nodan cockpit. Fixed Xenon capital ship engines not having animated exhaust flames. Fixed duplicate display on panel in Kestrel cockpit. Fixed missing geometry on side of Discoverer Vanguard. Fixed missing external geometry when standing on Incarcatura bridge. Fixed menu crash when opening the map legend in certain cases. GMT+8, 2019-4-26 05:54 , Processed in 0.020826 second(s), 20 queries , Redis On.